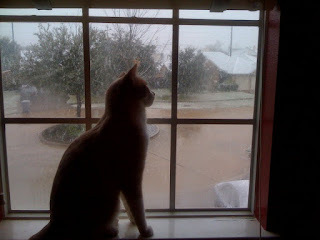 Even the cat is like WHAT THE!?! http://blogs.zdnet.com/Bott/?p=1575&tag=nl.e539 has the goods on the 'Microsoft Black Screen of Death' debacle. This sounds about right to me. What happened is that some company yelled 'FIRE!' in a movie theatre (I like the British spelling) and everyone panicked. Microsoft was blamed for a faulty patch that caused the computer screen to have nothing on the screen and therefore be unusable. What apparently really happened was that it didn't happen. I love this type of 'journalism'. Is Exxon KNOWINGLY selling impure gasoline to the elderly? The answer that may shock you, at 5. So, yes, every gas probably has SOME teeny tiny amount of impurity in it. And the elderly buy gas. Or, you can ask some crazy question and leave it unanswered: Is Tiger Woods cheating on his wife during a baby seal clubbing vacation? Tiger Woods was unavailable for comment. Yep, I looked around my office and Tiger Woods was not available. I didn't accuse him, I just proposed the question. I want an ice cream high in protein, low in fat/carbs. Do they make such a thing? If they can make fat free cottage cheese surely they can make some sort of high protein frozen dairy treat with Splenda and protein. I even came up with a name and some packaging. Push Up pops, get it? At least getting sued will provide me with some much needed publicity. Cellphones: What Choice do you have? I was reading a bit re: people griping about the poor service of AT&T. Some lamented the long contract, while others said if you bought your own phone, then the contract would not be necessary as the contract won't subsidize the cost of your cheap(er)/free phone. To me, the cheapest has always been T-Mobile's prepaid $100 card. 1000 minutes, and it's good for a year. The downside is no data plan, but if you just want to make calls, it's the way to go. It's great for penny pinchers, students, elderly, etc. Of course, you can always try it out with less airtime purchased up front too. 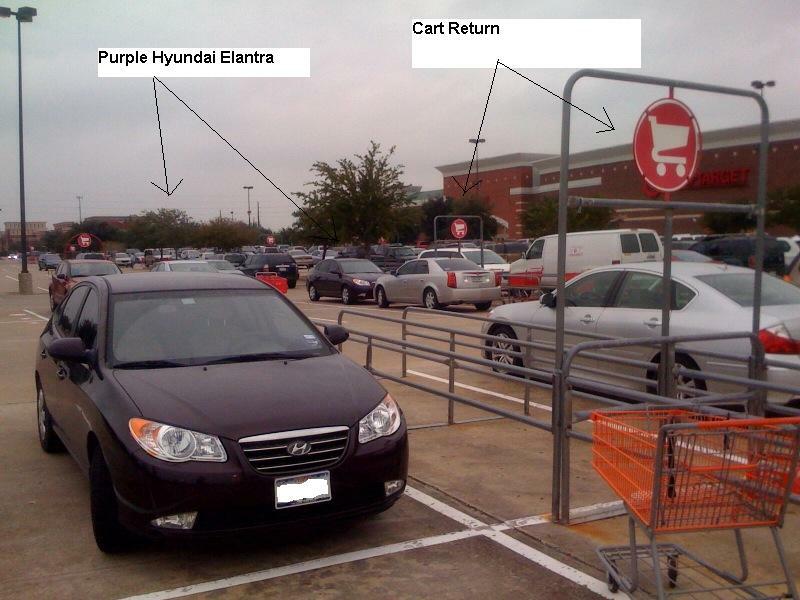 It's the purple Hyundai by the cart return. The one by the cart return. THE ONE WITH THE PURPLE HYUNDAI BESIDE IT!!! My son claims it proves Transformers are real. Even more confusing, they were parked in the same relative position. Fortunately, mine did not have scuffed hubcaps and was not covered in old leaves. A character on TV gets zapped by an electrical panel in humorous fashion. My son's quote: "Heh, he got staticuted."